The Ajuda Library holds a very important collection of heritage assets. Three kilometres of shelves are home to around 150,000 manuscript and printed items, some of the most outstanding being unique, well known pieces, such as the Cancioneiro da Ajuda, the Livro de Traças de Carpintaria, and Francisco d’Holanda’s Da fabrica que falece a cidade de Lisboa. The Collection of Manuscripts holds 2,512 codices and around 33,000 sundry documents (13th to 20th centuries), including 43 illuminated items, travel books and atlases, bibles, historical and literary miscellanies, and an important collection of chronicles (15th to 18th centuries), nobiliary lists and genealogies. The 226 codices of the Symmicta Lusitanica and the 61 codices of the Jesuits in Asia section are fundamental to the study of the history of the Orient (18th century). The Collection of Musical Manuscripts is considered to be one of the most valuable in the country. It is made up of 2,950 codices and 10,200 sundry manuscripts, and at the international level is one of the most important collections of 18th and 19th century chamber and opera music. 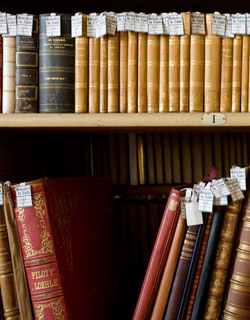 The Collection of Printed Books comprises 16,000 monographs, 11,000 periodicals encompassing a total of 1,700 titles, and 60,000 volumes in the Old Books category, which ranges from the 16th to the 18th centuries. It includes an important collection of 190 incunabula, and a collection of rare books with around 500 titles, some of which are unique exemplars. We should also note the collection of Dutch, French and German atlases (16th to 18th centuries), and a collection of leaflets containing around 9,000 titles. The Cartography, Iconography, and Photography Collections are each made up of about 2,500 items, and the photographic documentation from the 19th and early 20th centuries is particularly important.